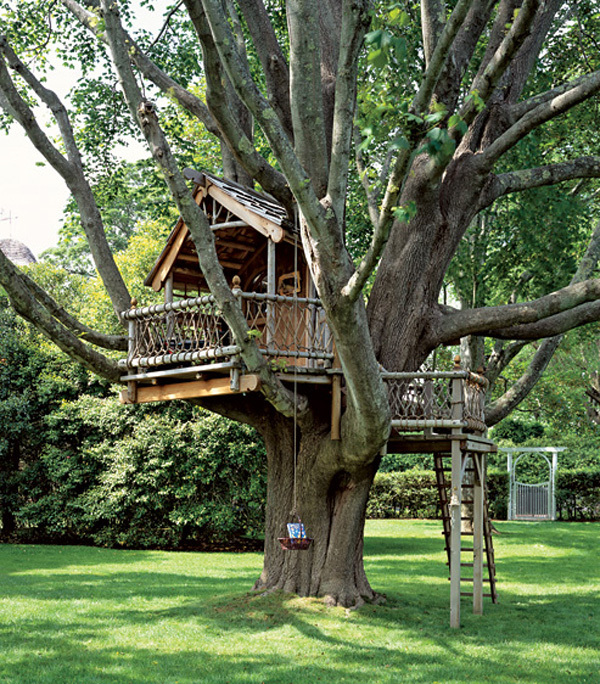 A big treehouse in a big garden for a lucky child! On a big tree where the branches hug the treehouse and the treehouse is part of the tree. A basket-lift has been built to transport some objects from the ground to the treehouse, so that the habitants of the treehouse cand stay on the tree without contacts with the “strangers”.